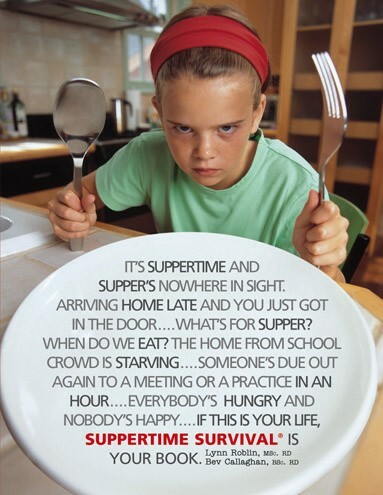 Suppertime Survival has been revised and updated to tackle the obesity epidemic head on by teaching families how to plan, cook and eat healthy meals. This book clears the confusion over "what is a healthy diet" and provides simple diet and menu plans based on healthy foods and sensible portion sizes. Suppertime Survival provides a simple solution to the daily question "What's for Supper?" with meals that are easy enough for most older kids to make.